The Nevada State Prison now sits idle after closing its doors one final time on May 12, 2012. The process to make NSP live again, as an educational landmark, is now underway. Please enjoy this website and learn more about our preservation efforts. *The first Nevada Territorial Legislature was held at Abraham Curry’s Warm Springs Hotel on the site where the prison now sits. The year was 1862. Mark Twain reported on this session. *Abraham Curry, the father of Carson City, became the first Territorial Prison Warden. *The prison quarry and its inmate labor force supplied the hand hewn sandstone blocks for some of Nevada’s most famous buildings, including the Capital. * As subsequent layers were removed from the sandstone quarry, dozens of fossilized pre-historic animals were revealed, including footprints of a giant sloth living 1.6 million years ago. The footprints were initially thought to be from an ancient race of giant humans! * The Nevada State Prison had a casino where inmates were allowed to gamble from 1932 to 1967. The casino included sports betting, horse racing, craps, blackjack and poker. *Convict Lake in Mono County, California received its name when a group of escaped convicts from the Nevada State Prison engaged in a famous shoot out with the posse that had trapped them there. This was one of the most notorious and deadly prison escapes in the 19th century. * Until 1873, the Lieutenant Governor was also the State Prison Warden. *Nevada’s most famous architect, Frederic J. Delongchamps, designed three major buildings at the Nevada State Prison. 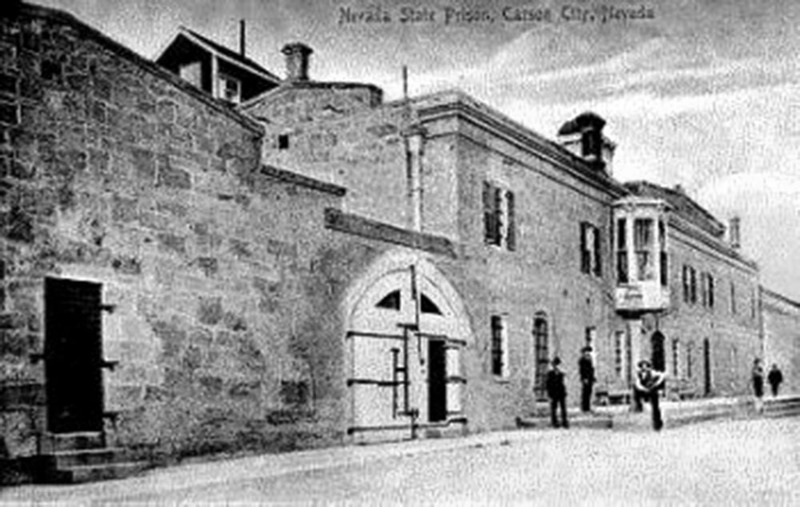 * In October of 2015, the Nevada State Prison was placed on the National Register of Historic Places.